Causeway Bay of Hong Kong is the place where Hong Kong car markets are heavily concentrated, and a stage which various world’s famous brand cars appear here. 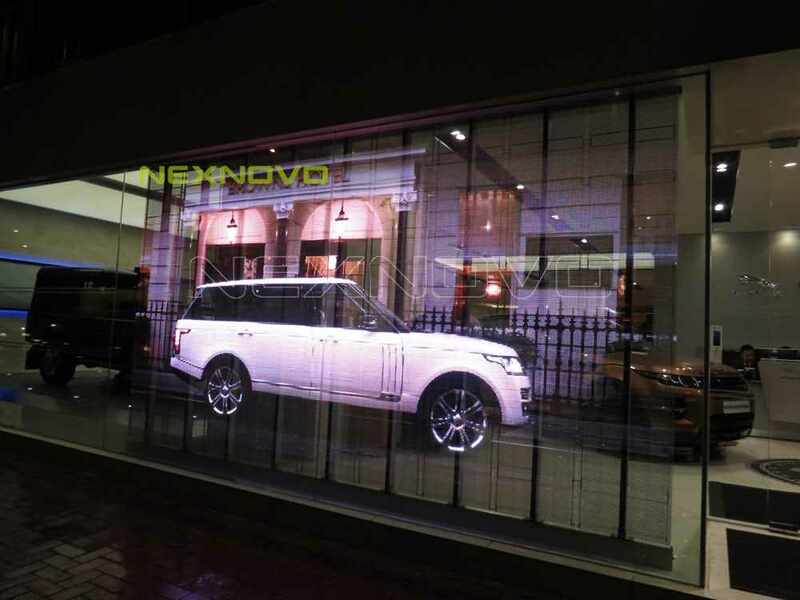 NEXNOVO transparent LED display is installed at BRITISH MOTORS famous car show room in the first floor of Xinghe Square, which adds a sense of technology to this famous car concentrated area. 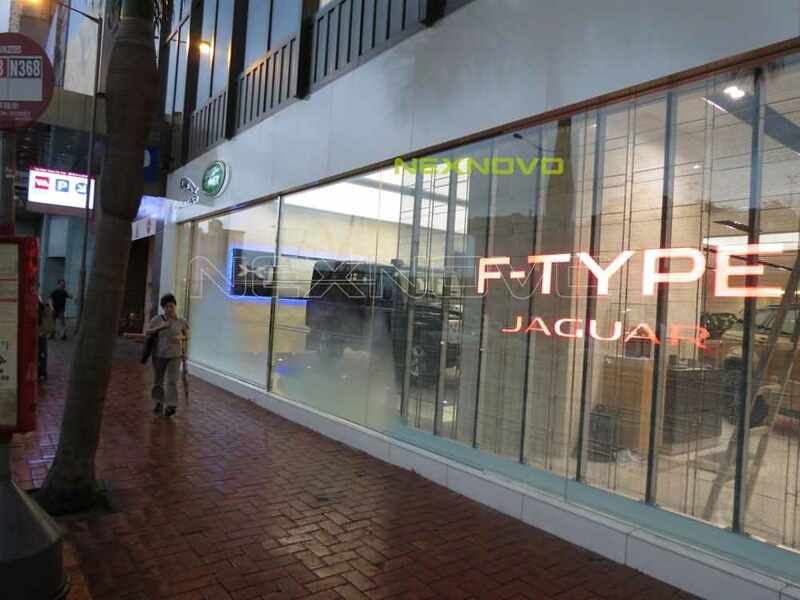 BRITISH MOTORS, which headquarter is in UK, has thousands of famous brand chain store over the world. 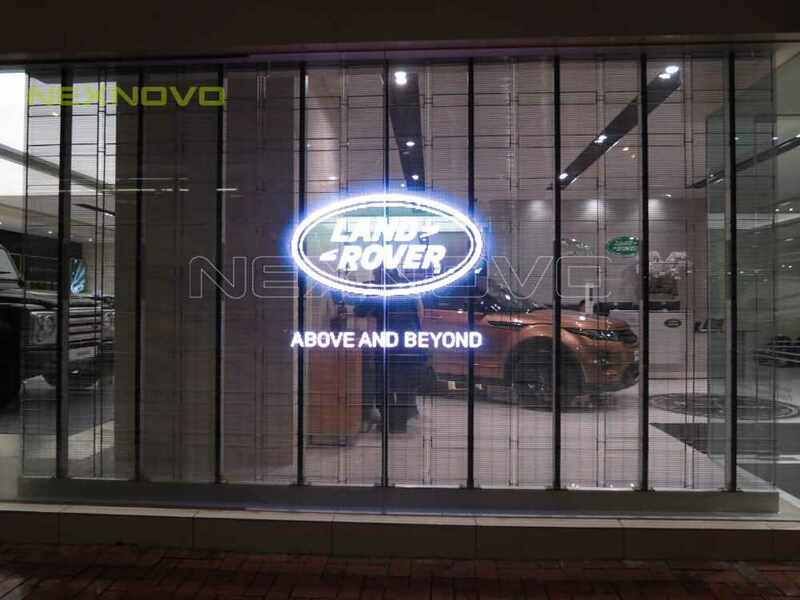 And LANDROVER and JAGUAR are the brands which BRITHSH MOTORS act as agent most. 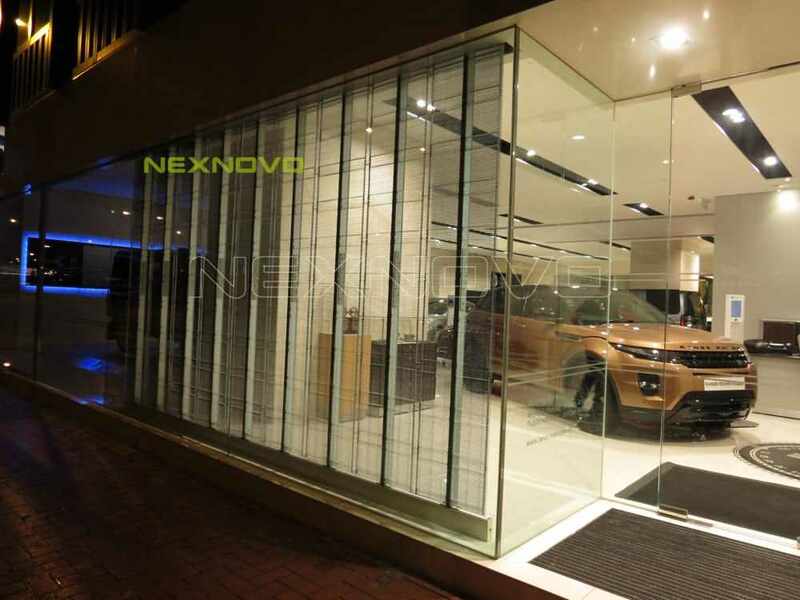 Hong Kong BRITHSH MOTORS is in Xinghe Square store of Causeway Bay. 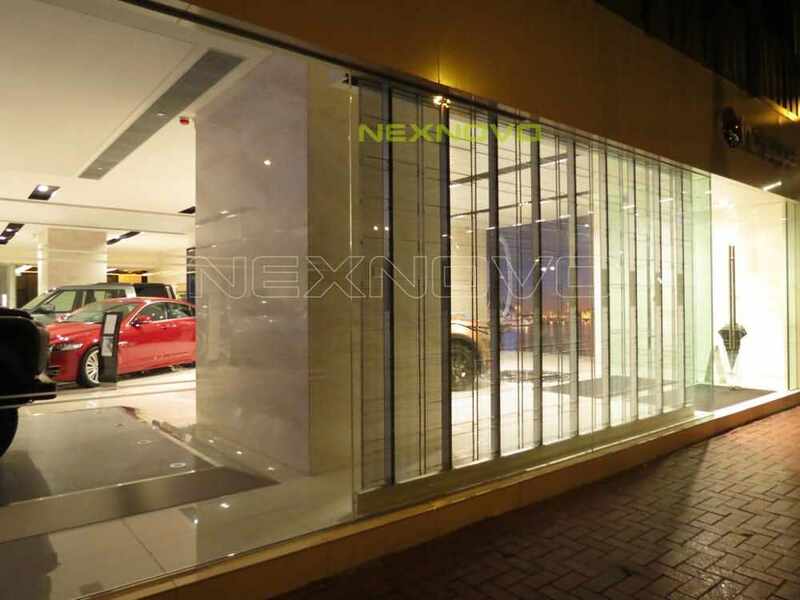 It faces the busiest street in Hong Kong-Gloucester Road, back against Hennessy Road, and closes to Times Square. Hundreds of thousands people pass this store every day. 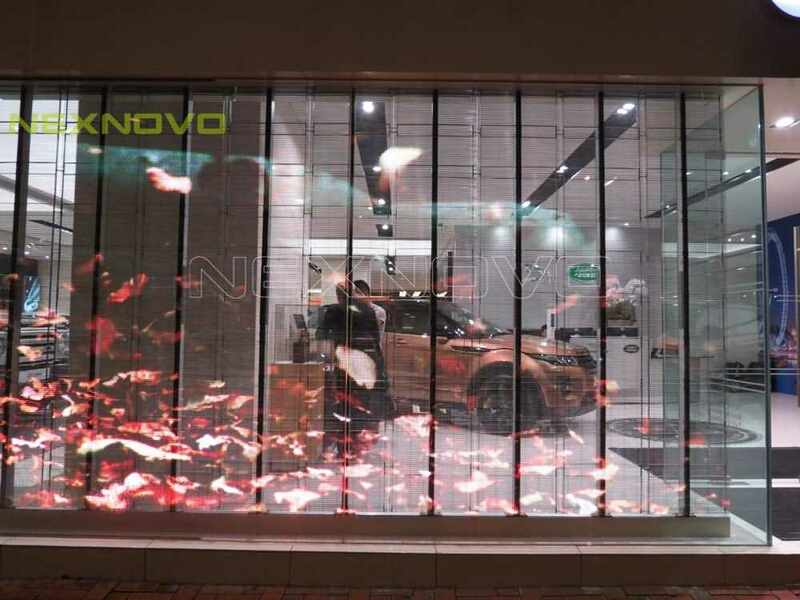 1.Since the limitation of glass size, the LED display must be high resolution. This program has best resolution, and gives maximum transparent effect. Seeing from outdoor or indoor, it has a clear view. 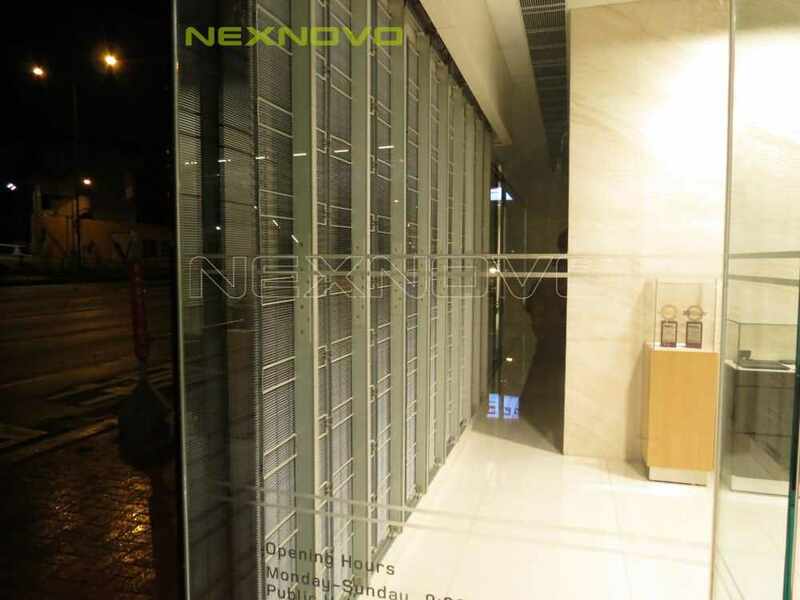 Based on the high-end decoration style, NEXNOVO transparent LED display makes the store more high technology.